Looking for a list of free SEO‐related Chrome extensions that will help you to work faster and smarter? Then look no further. I asked the /r/bigSEO community to name their favourite free Chrome extensions. I also added a few of my own favourite extensions to the list, as Google Chrome is my browser of choice, too. Most of these Chrome extensions are very well‐known in the SEO community. In fact, I have approximately 75–80% of these installed myself. And I would say I use 40–50% of them on a regular basis. 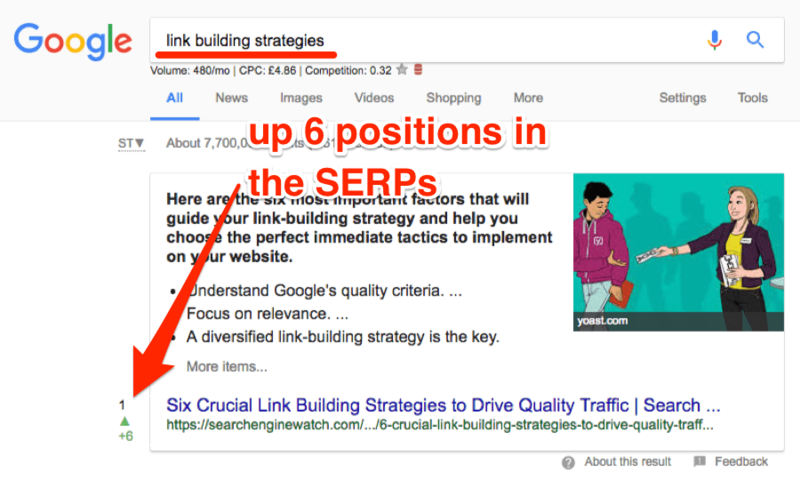 Now, these extensions aren’t all 100% SEO‐focussed. But they are all useful for SEO in one way or another. LinkMiner — Broken link checker that integrates with Ahrefs, Moz, and Majestic (to show metrics for the links that point to 404 pages). All broken links are red, whereas live links are green. And you can export the data to CSV in one click, too. SEOquake — Web browser extension with a ton of uses. 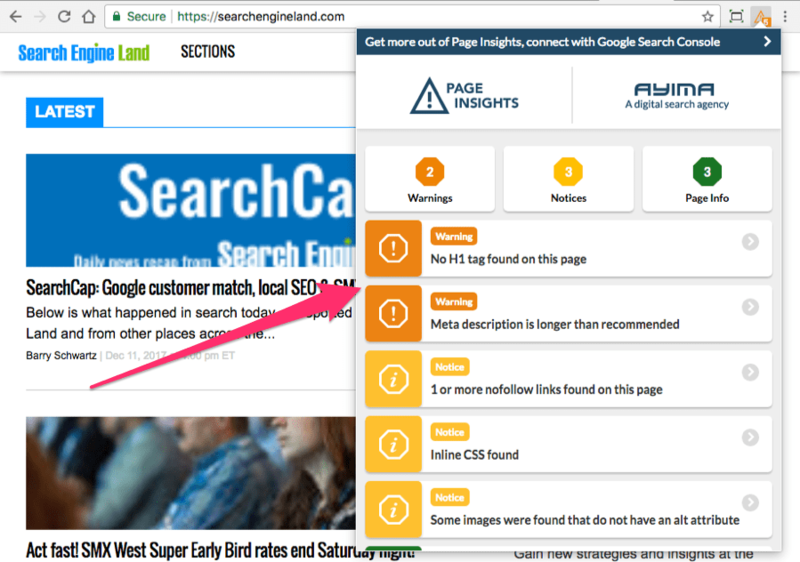 Analyse and extract Google search results, examine internal/external links, uncover on‐page issues, check metrics, and much more. Keywords Everywhere — Adds search volume and CPC data to the websites you already use including Google, Amazon, YouTube, and more. It even shows search volume data within Google Search Console. Link Redirect Trace — Uncovers all URLs in a redirect chain including 301’s, 302’s, etc. Very useful for finding (and regaining) lost “link juice,” amongst other things. NoFollow — Highlights all “nofollow” links on the page with a red‐dotted outline. Also detects “noindex” and “nofollow” meta tags. Ahrefs Toolbar — Check Ahrefs Rank, Domain Rating (DR), URL Rating (UR), # of backlinks, and # of referring domains for any web page on the fly. MozBar — Check Moz metrics (e.g. Domain Authority, Page Authority, etc) for any web page. Also, perform custom searches, check for on‐page issues, extract Google SERPs, and more. Scraper — Scrape data from any web page using XPath or jQuery. Integrates with Google Sheets for one‐click export to a spreadsheet. Or you can copy to clipboard and paste into Excel. LinkClump — Open multiple links at the same time (in new tabs or new windows). Or copy the links to your clipboard. Saves a lot of time, especially when link prospecting. Tag Assistant (by Google) — Check for the correct installation of Google tags (e.g. Google Analytics, Tag Manager, etc) on any website. Also, record typical user flows on your website to diagnose and fix implementation errors. Web Developer — Adds a web developer toolbar to Chrome. Use it to check how your website looks on different screen sizes, find images with missing alt text, and more. AdBlock — Blocks ads on YouTube, Facebook, Google, and pretty much everywhere else. Very useful for viewing organic results (without AdWords ads). WhatRuns — Instantly discover what runs any website. It uncovers the CMS, plugins, themes, ad networks, fonts, frameworks, analytics tools, everything. Page Load Time — Measures and displays page load time in the toolbar. Also breaks down this metric by event to give you deeper insights. Simple, but very useful. Most of these extensions have a much lower volume of users (according to the Chrome Web Store). But, that doesn’t mean they’re any less useful than the ones mentioned above. It just means that far fewer people know about them. For example, one lesser‐known extension is FindLinks. 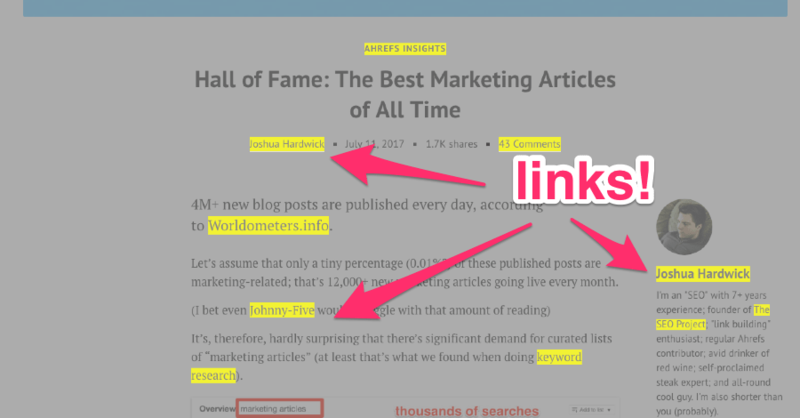 This simple tool highlights all hyperlinks on the page to make them super‐easy to see. Very useful for uncovering rogue/unwanted links on your website(s). FATRANK — Tells you where the webpage you’re visiting ranks in Google for any keyword/phrase. It only checks the top 100 results. It will return “not in 100” for websites that don’t rank in the top 100. SEOStack Keyword Tool — Finds thousands of low‐competition, long‐tail keywords in seconds. It does this by scraping Google, Youtube, Bing, Yahoo, Amazon, and eBay. All data can be exported to CSV. Open SEO Stats — Displays a bunch of SEO stats for the current page including geolocation, whois, Alexa, number of indexed pages, and more. Window Resizer — Resize your browser window to see how a website looks on screens of different sizes. It has one‐click emulation for popular sizes/resolutions (e.g. iPhone, iPad, laptop, desktop, etc). Ghostery — Tells you how websites are tracking you (e.g. Facebook Custom Audiences, Google Analytics, etc) and blocks them. Very useful for regaining privacy. Plus, websites generally load faster when they don’t need to load tracking technologies. AMP Validator — Checks whether or not a web page is an AMP (Accelerated Mobile Pages) page. The tool then runs it through an AMP validator to see if it passes or fails. Ayima Page Insights — Uncovers technical and on‐page issues for any web page. It also connects to Google Search Console for additional insights on your web properties. ObservePoint TagDebugger — Audit and debug issues with website tags (e.g. Google Analytics, Tag Manager, etc) on your websites. Also checks variables and on‐click events. OpenLink Structured Data Sniffer — Unveils the structured metadata present on any web page. It currently supports Microdata, RDF/XML, RDFa, JSON‐LD, Turtle, and POSH. The Tech SEO — Quick Click Website Audit — Provides pre‐formatted links (for the current URL) to a bunch of popular SEO tools. A very underrated tool that reduces the need for mundane copy/pasting. User‐Agent Switcher for Chrome — Mimic user‐agents to check that your website displays correctly in different browsers and/or OS’. 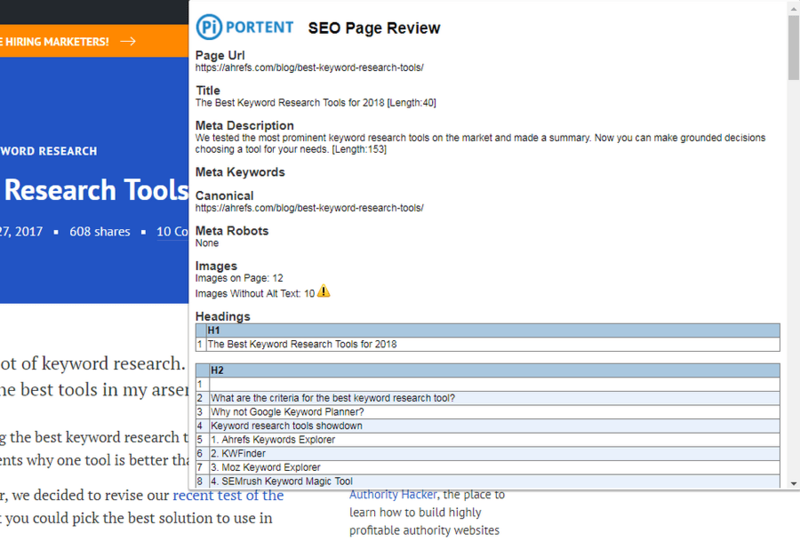 Portent’s SEO Page Review — Reviews the current page and kicks back a bunch of data including meta tags, canonicals, outbound links, H1‐H6 tags, OpenGraph tags, and more. Fireshot — Capture, edit, annotate, and save full or partial web page screenshots to PDF, JPEG, or PNG. Works offline and also integrates with OneNote and Gmail. FindLinks — Highlights all clickable links/elements on a web page in bright yellow. Very useful for finding links on websites with weird CSS styling. gInfinity — Creates infinite scrolling Google search results. Just scroll to the bottom of the page and the next page of results is automatically added. Note: Very useful for scraping Google search results in bulk when combined with Chris Ainsworth SERPs extraction bookmarklet. SERPTrends SEO Extension — Tracks your Google, Bing, and Yahoo searches. 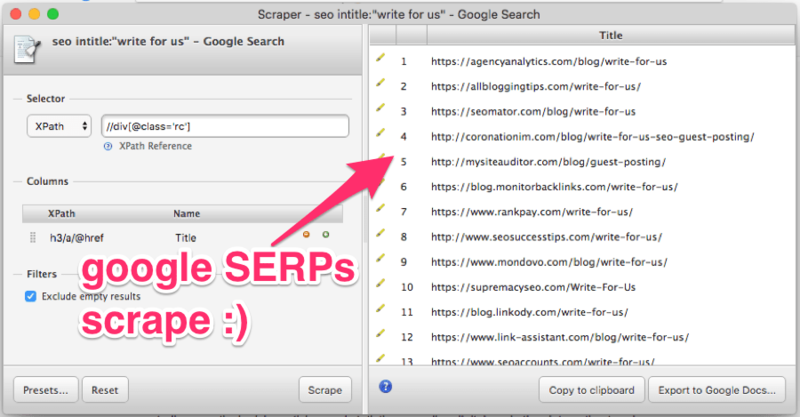 Then, if you perform the same search again, it shows ranking movements directly in the SERPs. N.A.P. HUNTER! — Finds the rogue N.A.P. data by searching Google for various combinations of your business name, address, and phone number. All citations can then be exported to a CSV file with a single click. SimilarTech Prospecting — Discovers a ton of useful information about the website you’re visiting. This includes estimated monthly traffic, company information, social profiles, web technologies, etc. SEO Search Simulator by Nightwatch — Emulates Google searches from any location. Very useful for seeing how rankings vary for a particular query in different parts of the world. Stylish — Custom themes for any website — Customize the color scheme for any website without coding. Thousands of pre‐made themes and skins to choose from. Great tool for experimenting with design/CSS and improving UI. Streak CRM for Gmail — Add CRM functionality within Gmail. Create mail merges, track emails, log interactions with leads/customers/prospects, and more. Perfect for organising outreach campaigns. Tampermonkey — Runs userscripts to modify/customize website functionality and behaviour. Here’s a massive resource of places to find these scripts. To get the most out of some Chrome extensions, you must be a paying customer of a particular service. For example, Yesware has a Chrome extension that works with Gmail in your browser. But, you need to be a paying Yesware customer before you can use it (note: they do have a free trial available). Other Chrome extensions give limited access, such as a limited amount of “credits” to use per month. Grammarly — Underlines spelling and grammatical errors as you type. Not necessarily an SEO tool but very useful for avoiding embarrassing and costly errors when writing outreach emails. Or communicating with SEO clients. Or leaving blog comments. LastPass — Password manager that saves passwords and autofills login credentials. Very useful for SEO agencies that use tons of accounts (e.g. Gmail, WordPress, etc) for many clients. There’s also an option to share passwords securely with other members of your team. Majestic Backlink Analyzer — Check Majestic metrics like Trust Flow (TF), Citation Flow (CF), # of external backlinks, # of referring domains, etc. Very limited access for those without paid Majestic accounts. Buzzsumo — View social share counts (i.e. Twitter, Facebook, LinkedIn, Pinterest) for any web page. Buzzsumo Pro subscribers can also view backlinks, sharers, save the URL to a Buzzsumo project, and more. 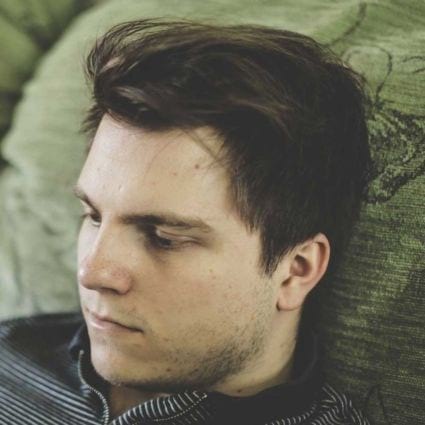 Hunter (formerly Email Hunter) — Finds the people/person behind a website along with their contact details. Also shows associated social media profiles and job titles for some results. You will get 100 free credits per month. Yesware Email Tracking — Real‐time email tracking that integrates with Gmail. It tracks open rates, link clicks, and reply rates. Other features include email scheduling, email template creation, mail merge, and more. SimilarWeb — Check estimated website traffic, traffic sources, keyword rankings, and other key stats for any website. Very powerful tool. BuzzStream Buzzmarker — Add websites/people to your BuzzStream account as you discover them (i.e. without leaving their website). You can also make notes, find contact information, and more. Highly recommended for BuzzStream users. Ninja Outreach Lite (14‐Day Free Trial) — Integrates with your Ninja Outreach for super‐quick prospecting. Also shows a ton of stats for the website you’re visiting including Alexa Rank, estimated monthly visits, contact information, RSS feed, etc. SEO & Website Analysis — Runs a comprehensive SEO analysis of your website. It identifies issues with on‐page factors, mobile friendliness, usability, alt tags, and more. 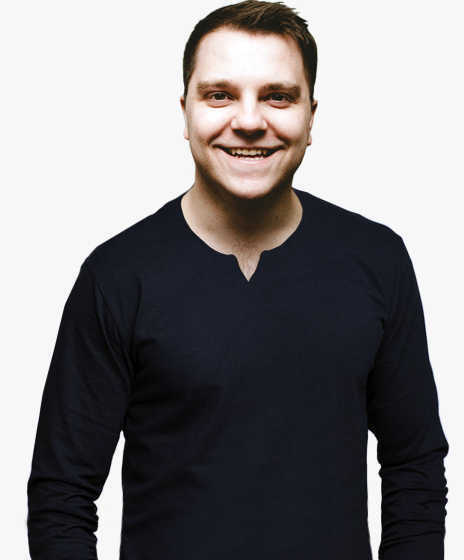 Some features rely on a paid WooRank account but most of the data is free. Find anyone’s email — Contact Out — Finds email addresses, Twitter handles, and phone numbers associated with any LinkedIn profile. Seems to work rather well, but search credits are very limited. Chrome extensions can have a huge impact on productivity. But, installing too many may slow down your browser. So, choose them wisely. If you use a lot of extensions, you can always create multiple user profiles for different tasks. Then, you can install different extensions on each profile and switch between them as needed. And finally, if you would like to suggest a Chrome extension to be added to this list in the future, you can do so here.